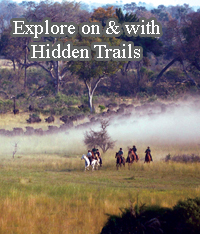 Ryan Schmidt, late founder of Hidden Trails, was born in Germany and emigrated to the USA and then to Canada in the late 70s after finishing college with a major in business administration. Ryan then owned and operated a wilderness lodge in the Coast Mountains of BC, where he was an outfitter, riding and fly fishing guide for 10+ years. In 1997 he started Hidden Trails. 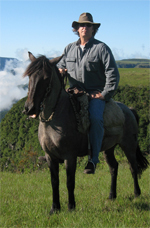 Due to his personal hands-on experiences and extensive travels all over the world, he has a vast knowledge of the majority of the Hidden Trails equestrian and outdoor adventure tours. He tested many of our trips on many continents. His favorite rides were in Italy, Spain, France, Germany, Ireland, Scotland, Tanzania, Tunisia, Argentina, Chile, Uruguay, Brazil, Mexico Costa Rica and Belize and many more. Marlon Cabilin - Marlon immigrated to Canada from the Philippines 20 years ago and is in charge of developing and improving the reservation and information system at Hidden Trails. 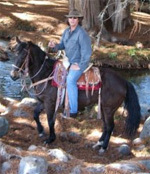 Marlon has been working for Hidden Trails since April of 2005. Marlon is our all-around guy: reservations, payments, computers and networking, and overall anything else for business operations. Marlon is our Manager. 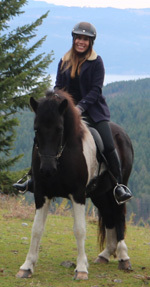 He enjoys horseback riding, hiking, snowboarding, and cycling during his spare time. 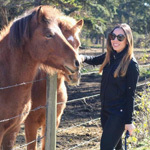 Bree Allen - Bree grew up in Ontario and has always loved being surrounded by animals. She had a particular passion in horses and devoted most of her time at the stables. 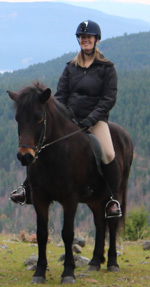 She developed a broad interest in hunters, eventing, and trail riding but really found her calling in dressage. 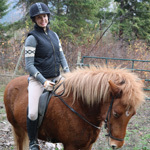 After competing for many years, she moved out to British Columbia to complete her Bachelor’s of Science in Zoology. Her love for adventure has taken her to many countries including Mexico, the Dominican Republic, the United States, Scotland, South Africa, and Botswana as well as driving across Canada. She hopes to some day backpack through Europe and explore each continent. Besides horses and traveling, Bree also has a profound interest in photography, hiking, camping, and wildlife. Bree is our Assistant Manager - she's in charge when Marlon is away on holidays or on business trips. Marisol Carlo - Originally from México, Marisol has been an animal lover ever since she can remember. 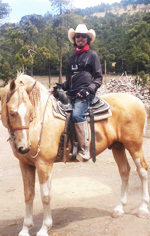 She entered competitive riding at a very young age and participated in National Competitions all over México. Growing up in Cancun, Marisol developed a passion for the ocean and water sports such as surfing and scuba diving. She Graduated from ITESM Tec De Monterrey and holds a Bachelor in Communication Science, a Master’s Degree and loves marketing, films and art. She also considers herself a bit of a language enthusiast after living in places like Paris, Buenos Aires, Cancun and Curacao. Camille Loiseau - Camille is from France and she is passionate about animals and travels. She fell in love with Canada in 2003 when she visited the Rockies and Vancouver Island. Therefore, after getting her MSc in International Marketing & Tourism and doing a 1 year Working Holiday Visa in New Zealand, she decided to move to Vancouver. She had the chance to travel to many different countries including Iceland, Japan, Namibia, Greece and the US. 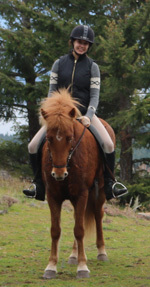 She started horseback riding when she was 8 and plans on continuing riding in Canada.